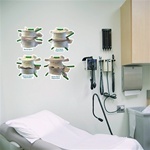 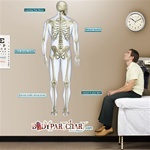 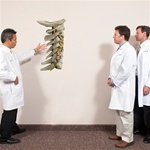 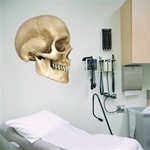 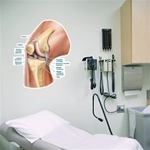 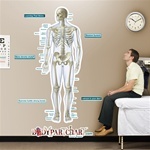 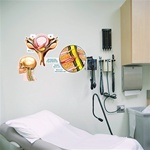 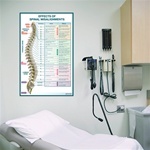 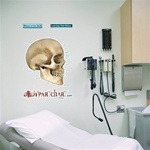 Skeletal System Wall Chart 20" x 26" Oversize Skeletal System Wall Chart - 36" x 44" Spinal Disc Disorder Tear Pad Spinal Disc Disorder Wall Chart 20" x 26"
This NEW Skeletal System Graphic is EXCLUSIVE to Shop Anatomical Inc. Skeletal System Wall Chart by Denoyer Geppert. Patient education sheet explaining spinal disc disorders, and the pump mechanism of disc nutrition. Patient education chart explaining spinal disc disorders, and the pump mechanism of disc nutrition. Describes and illustrates the various parts of the human skeleton. 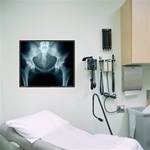 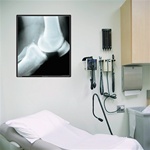 Shows the inside of the bone and One of our most popular charts is now available in a large format, 42 inches wide x 62 inches high.